7 Key Benefits from Outsourcing Your IT Support - NiE Network it Easy, Inc. I can see why a company would want to outsource their IT services after reading this. I like your point about how outsourced IT services utilize automated patching solutions for their software. Having constant updates to enhance security and software would be ideal for any business with sensitive information stored I bet. Ray, you make a great point about how having a primary server crash can be a disaster for a business. Having an experienced outsourced IT support system that can help fix and restore the functionality within minutes could be a lifesaver. I would assume that most smaller companies might not have all of the time and expertise to run their own IT department. 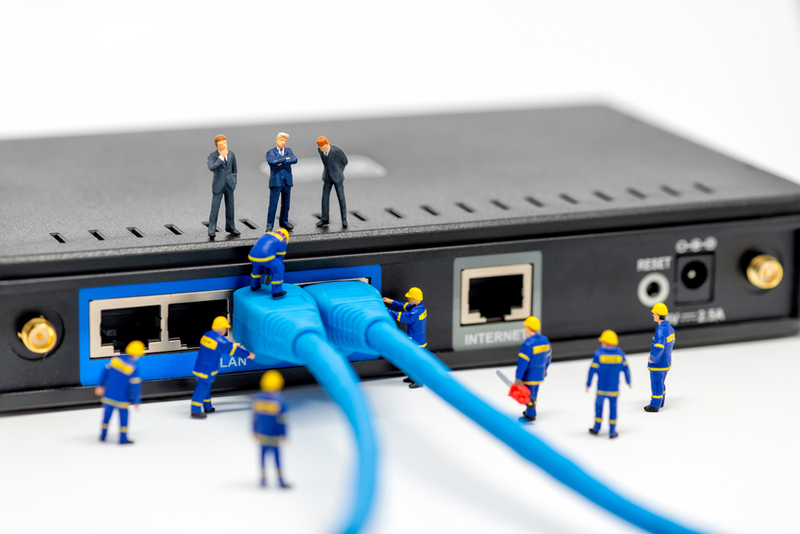 Using an outside IT support group could help a business owner focus on more important things. I like how you pointed out that outsourcing your IT needs can lead to a more timely response for assistance requests. This would definitely be helpful since time is money in the business world. Being able to resolve technological issues quickly would definitely make outsourcing IT worth it. My brother's firm is planning to expand, however, their computer and other IT needs are not sufficient. According to this article, hiring IT support will greatly increase timely response. Moreover, annual technology planning will make sure that both hardware and software are updated. That is really great that if you outsource your IT support that they can respond within 15 minutes. It would be really nice to get help with a problem that fast. I will have to see if my workplace would like to try and outsource our IT support. I like what you said about timely responsiveness because that is exactly what I am looking for in an IT guy. Getting quick responses when I run into an issue is important so that I can reduce downtime and get real work done. I think having a fast and capable IT guy in any business can really help in getting the company to success. It's great to know that MSP's are up to date with the technological advancements and that they can easily adapt and apply such to their clients for added customer value and efficiency. The simplest example of a fast-going technological update would be the system update on our mobile phones and how it prompts on the screen on a weekly basis. This can be helpful for starting business owners as they don't need to study IT-related materials as there are outsourced IT companies that can support them with the technological needs of their business. If I were a business owner, I wouldn't hesitate in investing on an IT company to protect my files and ensure its security at all costs. Thank you! I agree that one of the biggest benefits of hiring an IT service is that they are more up-to-date on technology and they stay with the updates coming out as well. I would imagine that if you aren't staying on top of technology, it can leave you in the dust. In my opinion, every company needs to have some sort of IT help to keep their business running smooth. My sister is thinking of outsourcing IT support for her company and she is wondering if outsourcing is the best choice, so I am glad that I found this article. You make a great point that outsourcing will provide timely support and automated problem resolution. Also, the fact that they will handle important technology updates is great so that my sister and her co-workers don't have to worry about that and can focus on other aspects of the business. Thanks for the information on how outsourcing IT management can help you work with professionals and get technology planning so you can make sure you have all the necessary computer hardware and software. When choosing one, you'd probably want to research IT management companies by looking online. This could help you learn more about their services and experience so you can find one that is familiar with your industry and will be able to help you know what technology you need. I agree that it would be nice to have someone specialized in IT support for a business. That will probably ensure quick responses, like you said. They will be able to focus solely on your company's needs and make any needed repairs or troubleshooting as soon as possible.